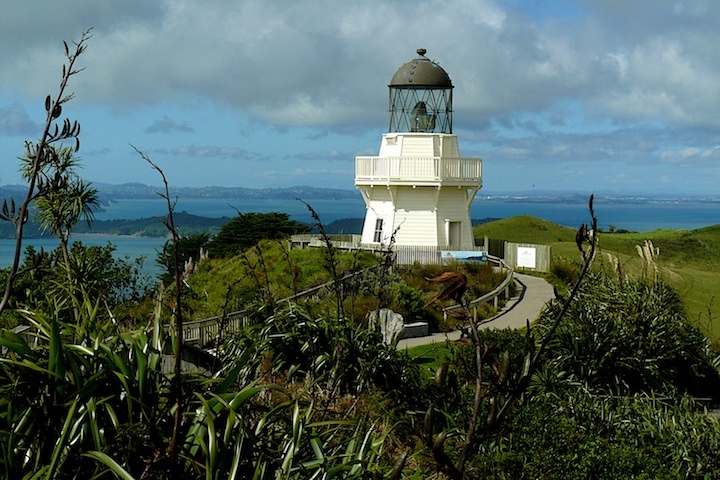 At the highest point (about 240 metres) on the southern promontory guarding the entrance to the Manukau Harbour stands the Manukau Heads Lighthouse. This is a replica, opened in 2006 after efforts by local enthusiasts, and placed on a vantage point for the benefit of visitors. The views are superb, across the expanse of the Manukau Harbour to the east, the Waitakere Ranges to the North, the Harbour mouth with its treacherous sandbar but also Ninepin and Paratutae Islands towards west, and rolling pastures to the south. 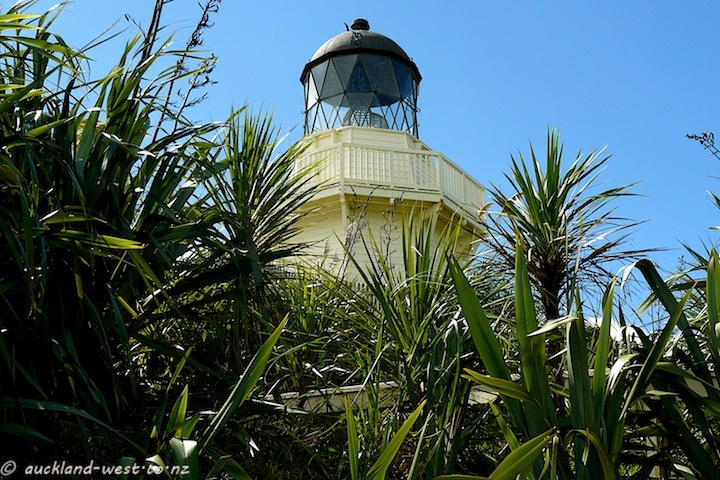 Between 1874 and 1986 a succession of lighthouses operated in the vicinity, their importance underlined by the worst maritime disaster in New Zealand, when in 1863 HMS Orpheus sank with the loss of 185 lives, as it attempted to cross the bar into the harbour. Nowadays, Port Onehunga near the upper end of the harbour serves coastal shipping, and ships are guided through the bar by radio contact from the adjacent signal station. Gates to the lighthouse are open daily between 9 a.m. and 5 p.m. Gold coin donation appreciated. The Guiding Lights provide a professional guide service if required (phone (09) 235 1458 or guidinglights@ihug.co.nz).